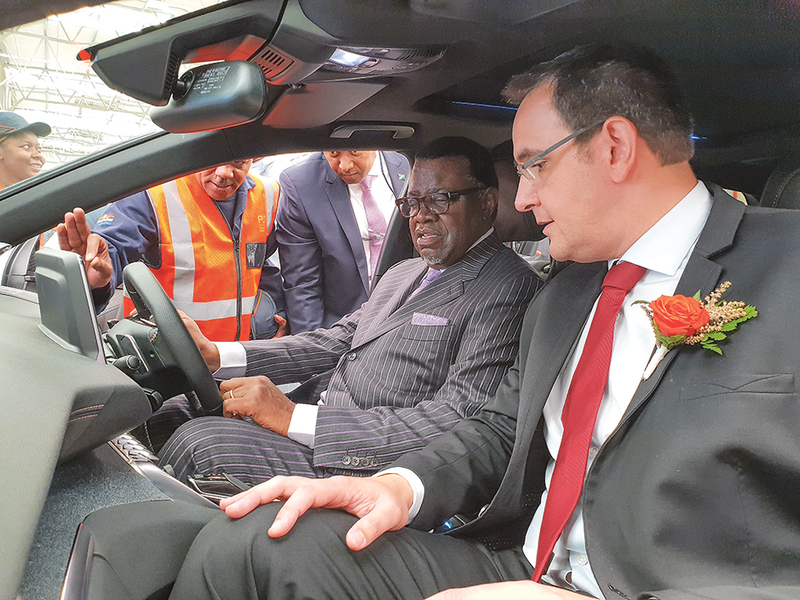 THE President of Namibia, Hage Geingob, officially inaugurated the brand new vehicle assembly plant which will henceforth be known as Peugeot Opel Assembly Namibia (POAN) in Walvis Bay and said such investments and partnerships hold the key to the future development of the country. 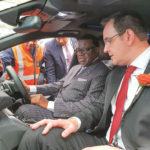 The new vehicle assembly plant is a joint venture between the PSA Groupe from France and the Namibia Development Corporation and represents an investment of nearly N$200 million in the National Economy, as well as the local economy of Walvis Bay. “This is a significant event for the development of the Erongo Region, most notably Walvis Bay. However, its significance is further amplified by the fact that it augments our national development aspirations and signifies to the international community, Namibia’s intent to become one of the premier destinations for Foreign Direct Investment in Africa,” President Geingob said. Geingob said it has been the Namibian Government’s objective to create conditions necessary for increased investment and the development of a competitive industrial sector. automotive industry is one of the sectors identified in our Growth at Home Strategy as a priority sector,” he noted. He said the FDI theory states that the location decisions of Multinational Enterprises are determined by the relative location advantages of particular countries for certain activities. “In terms of location advantages, Namibia offers a strategic location to investors, as a gateway into the Southern African market. Through our port of Walvis Bay, which is the pinnacle of our transport corridor concept, we are able to provide access to all other destinations within SADC, including land locked countries that have become sea-linked through the Walvis Bay Corridor. Due to trade arrangements such as the South African Customs Union (SACU) and the Free Trade Agreement under SADC, presence in Namibia translates into having access to a market of 330 million people,” said Geingob. The President said Namibia is a signatory to the African Continental Free Trade Area Agreement (AfCFTA), an instrument that has gained traction and is expected to increase market access to over one billion people. The new facility created 50 jobs and 15 vehicles of Peugeot and Opel brands have already been assembled successfully since production started about two weeks ago. The eventual target for the plant is to assemble at least 5 000 vehicles per year for local sales, as well as markets situated in the wider Southern African Development Community and beyond.